In an effort to provide a variety of continuing education and career opportunities to students, Hesston College Aviation recently established a partnership with SkyWest Airlines, a passenger airline company that operates in partnership with Delta Airlines, United Airlines, American Airlines and Alaska Airlines. As an official SkyWest Airlines Partner School, students from Hesston’s aviation program will gain a more streamlined and efficient pathway to transition into a flying career at SkyWest through the Pilot Pathway Program. SkyWest describes the Pilot Pathway Program as providing “a direct path for exceptional pilots with a desire to take control of their aviation careers.” As part of the program, pilots can gain enhanced seniority, guaranteed final interviews and have access to pilot mentors. 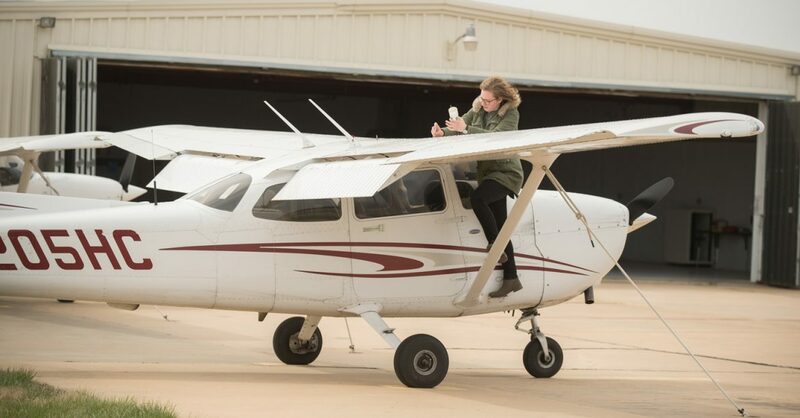 Hesston College student pilots have long benefitted from networking with Hesston College Aviation alumni and industry professionals, and the SkyWest partnership is the first of several Baker hopes to put in place for students in the program.